We took our four-year-old and 18-month-old with us to the ultrasound, and I remember feeling anxiety, wondering if we should have left them at home. For the past several weeks I'd had a bad feeling about this pregnancy, and two weeks prior, I even went in just to hear the baby's heartbeat. When the midwife found it, I remember crying and saying, "thank you, Jesus," because I truly felt like there wouldn't be one. Thankfully all was well, and two weeks later, our whole family went to the ultrasound appointment together so we could all see our sweet baby. We planned to decline finding out the gender. We thought this baby would complete our family, and were looking forward to the surprise on the delivery day. 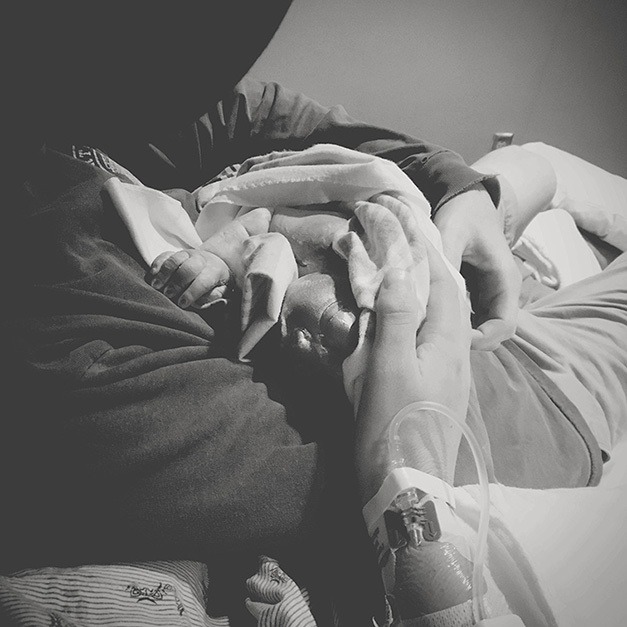 We found out it was a baby girl, and I remember feeling even more crushed. My sisters are my greatest gift, and I wanted my little girl to have a sister. Her whole body from the forehead down was so perfect. 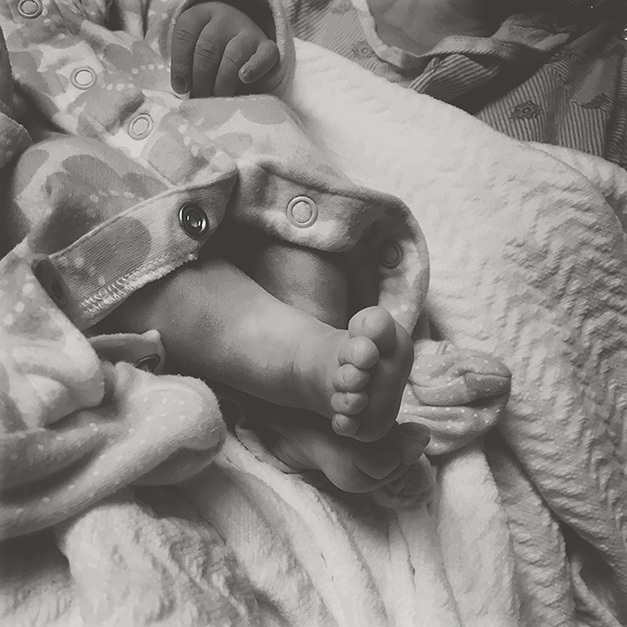 She was wiggling, and squirming, and opening and closing her little mouth. We tried hard to hold it together, and thankfully a kind nurse came in to play with our kids. I kept thinking that it felt like a very bad dream. When the doctor met with us in his office, he was kind and direct. He told us our options were to terminate, or to carry the pregnancy to term. He sent us to a perinatal specialist immediately, which was such a blessing. They performed another ultrasound, confirming what the original one had shown. I was in a daze. The perinatal specialist was gentle with us, and again explained our options. She gave us hope that our baby could live a few hours, and possibly even days. When we told her our decision was to carry to term, she was nothing but supportive and encouraging. I can't lie to you and say this has been easy. We don't understand, and we are so sad. We keep reminding ourselves that God is good. We named our baby Hazel Elizabeth. Elizabeth means consecrated to God, which we thought was especially fitting for our daughter. I can't lie to you and say this has been easy. We don't understand, and we are so sad. We keep reminding ourselves that God is good. He loves Hazel more than we do. He loves us so much that He made a way for all of us to be together. Neither William nor I would change our decision to carry her life, and to hold her with us as long as God allowed us to. She's our baby. Just because she doesn't look "whole" on an ultrasound doesn't mean she wasn't perfectly formed and made in His image. We are grateful for how she changed us and taught us, no matter how short her precious LIFE was. 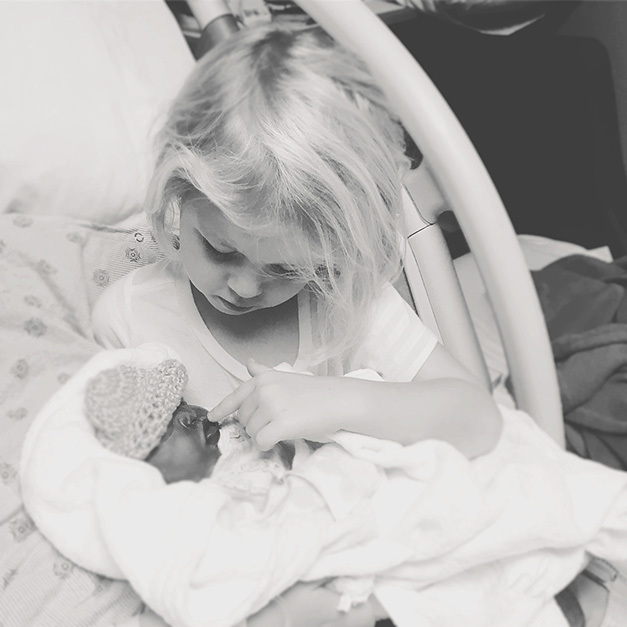 She was born at 38 weeks and 4 days and when her sweet little eyes opened for the first time she was in the arms of her Savior. In her short life, she taught her family that along with brokenness and devastation, there can also be peace and wholeness. She taught us that God loves the broken things of this world and can restore them. Our pregnancy was SO hard, though. We wouldn't have been able to walk the road we did without the beautiful support we received from our community of friends who also cherished her life. We were in a new town, and complete strangers brought us meals. Friends and acquaintances alike donated money for groceries. Precious family loved on our other two children. Friends pitched in to get our house cleaned. When we were at our darkest, we would receive a facebook message, a text, a book, or a phone call that was exactly what we needed to get to the next step. We couldn't have chosen life without the Lord loving on us through his people. When I was filled with fear, the words and prayers and encouragement from Hazel's warriors kept me from going crazy. We have no regrets about her life and we are forever changed because the Lord gave us the strength to choose life for our girl.